It's no secret that politics influence the stock market. Not only do economic policies on taxes and trade have a direct effect on the economy, but the fortunes of sectors such as defense, manufacturing, and healthcare are closely tied to government policy, as we've seen with initiatives during the Obama administration like the Affordable Care Act and the auto industry bailout. 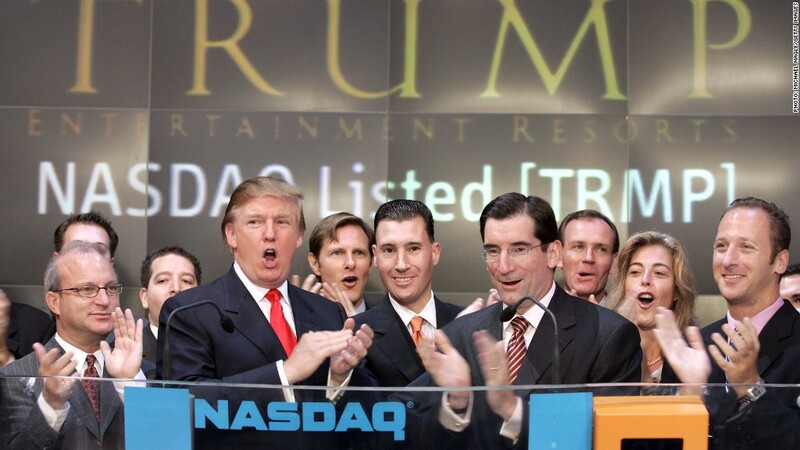 Electing Donald Trump as president would likely roil markets as well, as he would be an unprecedented leader with little to no experience in politics or military affairs, and uncertainty in the economy almost always leads to volatility in the stock market. With the election a few months away, Foolish investors should keep a long-term focus on the market, being mindful that great companies have survived all kinds of turmoil in the past. However, it's also wise to be aware of stocks that could be winners or losers in an upcoming political shift. With that in mind, let's take a look at two stocks that could soar if Trump wins the election. The coal industry has been battered and beaten during the Obama administration. In fact, Consol Energy is one of the few coal companies to survive the fracking revolution of the last decade. Among its former rivals that have filed for bankruptcy in the past few years are Peabody Energy, Arch Coal, Alpha Natural Resources, Patriot Coal, and James River Coal Company. Consol, which also has a natural gas division, is better diversified than its former rivals, but as the chart below shows, the stock has tumbled over the last five years, as has the VanECK Vectors Coal ETF. Trump has promised to revive the coal industry and reopen mines, and white, blue-collar workers like coal miners are a core constituency in his supporter base. His opponent, Hillary Clinton, on the other hand, said she wanted to "put a lot of coal miners and coal companies out of business," a statement she later stepped back from. Some critics have blamed President Obama's environmental policies for the coal industry's demise, though cheap natural gas seems to be the primary culprit. Like many things in politics, the nature of coal's demise is more complicated than a simple soundbite. The rise of natural gas came as prices for the commodity plummeted from the fracking boom, and since natural gas is a cleaner source of energy than coal, utility companies made the switch when it also happened to be cheaper. Coal companies also bet big on the Chinese market, taking out debt to increase production of metallurgical coal, a key component of steel and one that fetches a higher price than the steam coal burned for electricity. As China's construction boom ground to a halt, steel demand and the price of metallurgical coal plummeted along with it from $200 to $85 a ton, sending former heavyweights like Arch Coal and Alpha Natural Resources into bankruptcy. Finally, Obama administration policies under the EPA, along with state-level legislation, have certainly not helped ease the decline of coal, though the effect of such policies has become a subject of debate among pundits. What is clear is that in the last decade, coal has gone from being the source of half of the country's electricity to just one-third, while natural gas has risen from 21% to 31% and renewables have gained as well. Many economists believe that it would be virtually impossible to bring coal to its former status without significant price manipulation, but a Trump election would likely be perceived as a big win for the industry, considering his support in coal country and his promises to reopen mines. Consol shares dropped 6.5% the day after Obama's reelection, and many other coal stocks fell by double-digit percentages, evidence that investors place at least some of the blame for the industry's collapse at his feet. Like coal stocks, shares of for-profit educators have also tumbled during the Obama administration. Here, however, the blame can be more directly attributed to the president's policies and actions. A number of for-profit colleges have been sued by government agencies for defrauding students, including DeVry University, Corinthian Colleges, and ITT Technical Institute. Corinthian, which has since filed for bankruptcy, was fined $30 million by the Department of Education in 2014 after investigations by the SEC and CFPB revealed a withdrawal rate of 67% and a loan default rate at 36%. Apollo Education Group, the University of Phoenix parent, was at one point the industry's clear leader, but its stock has been decimated by government investigations and falling enrollment. The University of Phoenix has faced sanctions from the government and other overseeing bodies on a number of occasions in recent years, as the Government Accountability Office found that the company had a pattern of prioritizing financial success over student outcomes. In 2009, for example, the University of Phoenix paid $78.5 million to settle a whistleblower suit charging that recruiter pay was dependent on enrollment. That was followed by a $10 million judgement in Oregon, where the company was charged with misleading investors and a failure to follow student loan protocol. Trump has not directly addressed the for-profit college industry during his candidacy, but he himself is embroiled in his own litigation from the failed for-profit school, Trump University. Republicans have also opposed many of the Obama administration's regulations on for-profit schools, so it figures that Trump would be a better friend to the industry if elected. Similar to coal, the for-profit education industry and brand may have been too damaged during the Obama administration to allow for a comeback as several years of enrollment declines may be hard to overcome. However, a Trump administration is likely to be much friendlier to for-profit schools, and the market is well aware of the current administration's attitude toward the industry. Jeremy Bowman has no position in any stocks mentioned. The Motley Fool has no position in any of the stocks mentioned.